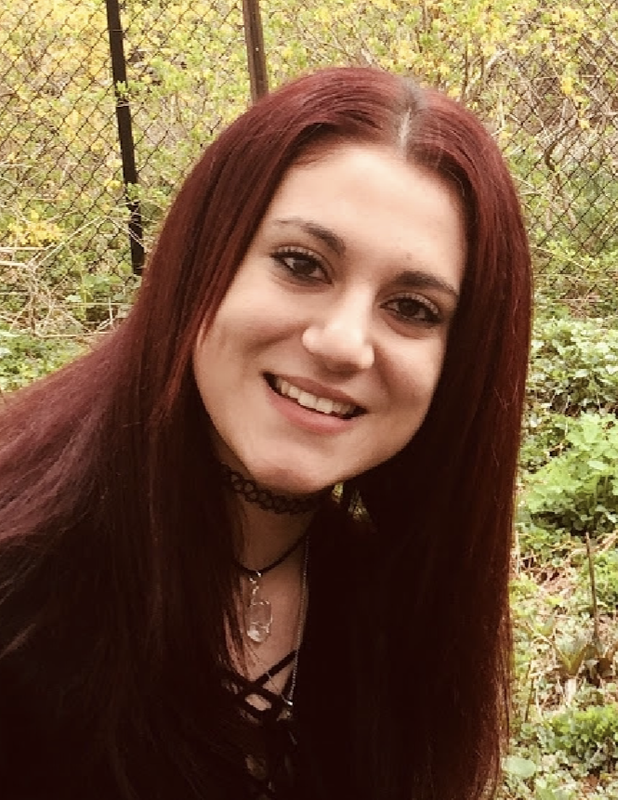 Victoria Amanda Papalambros, 20, of Tappan, passed away on Saturday, December 1, 2018. Cherished daughter of George and Carol Papalambros. Loving sister of Christina, Kaitlynn and Alexander. Adored granddaughter of Angelo and Katey Papalambros and the late George and Florence Daher. She is also survived by many loving aunts, uncles, cousins and friends. She is also survived by her beloved cat Porsche. Victoria’s smile illuminated a room. Her laugh echoed. She was compassionate, loving and sympathetic to all people she encountered. She loved children and would take the time to play and read to them. She will be one soul that will be sorely missed by many. 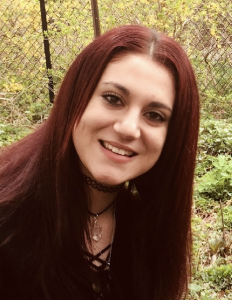 A Funeral Service will be held Thursday 10 AM at Pizzi Funeral Home, 120 Paris Ave, Northvale (201-767-3050) with interment to follow at Rockland Cemetery, Sparkill. Visiting hours are Wednesday 5-9 PM. Rest in peace sweet “niece”. You’ll be in our hearts forever. Your smile and beautiful spirit will forever live in our hearts ♥️ Rest in Peace sweet child of God. I was never really good at expressing myself to you, but I’m hoping that you know how much I love you. When life felt so wrong, you were always still right to me. I will never forget how sweet and generous you were to the whole world. You will forever remain in my mind, and I will continue in this world with the strength and love that you taught me. Rest easy in the next life, and I hope to see you again someday. You will forever be in our hearts.May you rest in peace. I love you so much vickk!!! Not only were you my best friend but you were like the little sister i never had!!! Please watch over madison and i!!! R.I.P babygirl !!!!!!! You are a beautiful person who’s smile always illuminated the store. Your laughter always echoing down the aisles. You are a gorgeous angel up in heaven with beautiful puffy white cotton clouds. We are all going to miss you tremendously. We all love you. Rest In Peace. We have friends and family but you are a friend that became family. You are a beautiful soul that will never be forgotten. I will miss your beautiful smile, laughter, our talks and the fun times we shared. The beautiful memories will remain in my heart forever. You are missed beyond measure. Rest In Peace sweet girl! You are a beautiful person, who’s smile has always illuminated the store. Your laughter has always echoed in the aisles. You are a gorgeous angel now up in heaven with beautiful puffy white cotton clouds. You will be missed tremendously by all of us. We love you. Rest In Peace. To Vicky’s family: I had the pleasure of knowing Vicky for about 1 year through work at Stop & Shop. To me she had the grandest smile, a terrific sense of humor, great style and was always willing to work hard. When I would look into her eyes I always saw a depth of maturity and wisdom well beyond her years–as if her eyes spoke about lives past, and future lives. God has a new angel now with plenty of plans. Take solace in knowing that she’s now the family guardian till your faithful reunion. I will miss your laughter, your beautiful smile. You will be sorely missed. Your a wonderful friend and to talk with.and laugh with. I will never forget you Vicky. I will always treasure our fun times and laughs we had together at Stop and Shop. I’m really going to miss you you. You were one of my best friends, you were like another daughter to me. My three kids Gerard, Dominic, and Izabella adored you. Izabella idolized you. You always brighten up my day whenever I was down with your beautiful smile and your laugh. I will miss your beautiful smile, laughter, our talks, and fun times that we shared. The beautiful memories will remain in my heart forever. Your a beautiful angel that will never be forgotten. We miss you. Rest In Peace sweet girl!! You were one of my best friends. You were like a second daughter to me. You knew how to brighten up my day whenever I was down with your beautiful smile and laugh. My three kids Gerard, Dominic, and Izabella adores you and love you very much. Izabella idolized you. I will miss your beautiful smile, laughter, our talks, and fun times we shared. The beautiful memories will remain in my heart forever. Your a beautiful angel that will never be forgotten. We love you and miss you Vicky. Please watch over Gerard, Dominic, Izabella, and me. I love you Vicky. Rest In Peace sweet child. I am beyond saddened to learn of your beloved Victoria’s passing. Please know that your family is in our thoughts and prayers. We are very,very sad, that your angel,Vicky, has gone to heaven! We pray for you and the young soul. She will ever live in our memories. We are very,very sad, that your Angel,Vicky, has gone to heaven. She will ever live in our memories. Didn’t know know this young (and way TOO young to have passed!) lady, but saw the obituary in the online Daily Voice, and even though a stranger, my heart and soul told me to reach out to her family, friends, and loved ones to say she was exceptionally beautiful – both in looks, and I can see from the comments everyone has left, on the inside too – where it REALLY counts!! I hope you will take my need to send (hopefully) comforting thoughts, and healing light to you as a signal that her spirit touched me, and made me reach out to you. I also hope you all find comfort in your loving memories of this beautiful young person in the very near future. Use her bright, generous spirit as strength and courage to go on, and touch others, as she has touched you all. Hugs! !